When targeting kingfish with poppers from the deck of a launch, casting into a head wind, and then actually subduing one of these torpedo like speedsters, there are few fixed spool reels that can foot it with the SpeedMaster TSS-4 from Shimano. This reel has been around for about twenty years and so has survived the test of time, and for good reason, it works! The SpeedMaster, as the name suggests, is all about making your lure return to the rod at high speed. To this end it has a gear ratio of 5.8:1. This fast retrieve is vital for triggering a strike from a kingfish. A fast retrieve also has the added advantage of keeping you in contact with the lure. 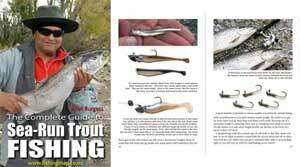 A strike at the rod results in an instant hook-up, and so a reduced likeli­hood of the fish throwing the hook. There is a considerable advantage to the angler using an “eggbeater” when casting a popper because there is no chance of an overrun, as there is with a free-spool. This particularly applies when the wind is blowing strongly and your boat is being tossed about. When casting a popper into the wind with a free-spool reel the popper tends to come to a stop in mid air whilst the spool is still spinning rapidly with disastrous results. The worst part being is that you find yourself picking at an over-run right when the fish are biting! When kingfish are biting hot on surface poppers, and the crew is very excited, it is all too easy to give your cast that bit of extra dis­tance with the sad result described. The 5.8:1 ration means that the lure can be made to chug or skip across the surface of the water like a fleeing baitfish with the possibility of a blood chilling strike right before your eyes. The TSS-4 holds sufficient line to enable a fighting chance against the biggest kingi. It will hold 270 yards of 20 lb line, 230 yards of 25 lb, or 185 yards of 30 lb line. When fighting yellowtail kingfish or tuna a reel needs to be strongly built and have a smooth drag. Kingfish are immensely strong for their size and will wreck any but the strongest reel. Shimano have been making bicycle components, particularly gears, for over sixty years. They are also one of the world’s largest fishing tackle manufacturers, so have all the qualifications and expertise to make a reel which not only has a fast retrieve, but also has gears strong enough to deal to big powerful kingfish and tuna. The drag features a waterproof seal similar to that employed on Shimano’s big TLD 2-speed level drag game reels to prevent water saturating the drag washers and caus­ing the loss of a trophy fish through the line breaking. Three ball bearings are employed in the design. The TSS-4 is made from tough corrosion proof graphite and weighs 20.4 oz. As a good tough all round “eggbeater” type reel the Shimano SpeedMaster is hard to beat. 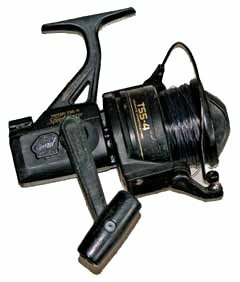 It also makes a very fine surfcasting reel, and is popular in the South Island with many salmon anglers because of its toughness, fast retrieve and good line holding capacity.